I rent cars, lots of cars. If I have to go out of town to speak and need to drive there, I’ve made it my practice to rent a car. Driving is often more economical than flying, and this way, my personal vehicles don’t have to take the abuse of a long trip. Recently, I had to speak in Kansas City. I could have flown, but the route required me to change planes in Houston—the opposite direction from my destination. I realized I could drive and be there an hour before the airplane, so I rented a car. Because of renting, I get to drive all types of cars: domestic, foreign, compact and midsize. Sometimes, I’m even upgraded to a luxury car. I don’t get upgraded often. Most of the time when I arrive, there are only two vehicles left: a luxury car and a Vespa scooter. I enjoy trying out the different types of cars, and by the time the trip is over, I’ve gotten a good feel for the model. This time, I got a red 2017 Chevrolet Sonic, a nice little car. I strapped myself in and headed to Interstate 44. Getting from Tulsa to Kansas City is quite easy. I drive down Memorial Street, turn right on Interstate 44, drive for 109 miles, exit onto Interstate 49 and go north another 139 miles to reach Kansas City. I turned onto I-44 and settled into the zone of driving and listening to music. It was cold outside, but the sun was shining through the windows, warming up the car. I reached over and turned the thermostat down to 69 degrees, holding my hand in front of the vents to feel the air. I waited for it to cool down, but the temperature just kept climbing. Next, I adjusted the thermostat to 60 degrees, but the air coming out kept getting hotter. I now felt as though I were sitting in a Swedish sauna. All I was missing was a cup of water and some rocks to throw it on. Once again, I turned down the heater as low as it would go, but to no avail; the air just kept getting hotter and hotter. Now, I was sweating, not just a little sweat, but the kind where even your sweat is sweating. I decided to forget about turning the heater down. Instead, I reached over and switched it to air conditioning. Again, I put my hand over the vent, waiting for the cool air to come through, but to my surprise, it continued getting hotter. By this time, I was at the midway point on the turnpike. I pulled over into the gas station, trying to figure out what I was doing wrong. I looked on the dashboard and saw that the temperature gauge read 40 degrees. Next, I looked a little more closely, and in front of the 40 was a tiny minus sign. It was telling me that the actual temperature inside the car was minus 40 degrees. And then it dawned on me: If the car’s computer thinks it’s minus 40 inside the car, when I set the thermostat to 70, the computer thought it had to heat the car another 110 degrees to reach the desired temperature. I sat there in the parking lot, trying to figure out what to do. I don’t think very well when I feel like I’ve just crawled across a desert. I tried to reprogram the computer but was unsuccessful. So for the remaining three hours and 45 minutes of the trip, I would turn on the blast furnace for a couple of minutes and then turn it off to let it cool down. I would get hot and then cold, hot and then cold, and my life was miserable. Since then, I’ve been warning others to make sure to check the temperature gauge before renting a car. That vehicle was so sleek and good-looking, but it had an inner defect. Isn’t that much like you and me? We put on a good show outside, but we all have things inside us that are broken and don’t work right. We work hard to hide our brokenness from others, but sooner or later, it’s discovered. We try to fix it ourselves, but we can’t. And so we limp along. But here’s the good news: Jesus can fix it. He knows how to fix it because he is the Creator and designer of all things, and all things are held together by Him (see (Col. 1:16, 17). Jesus wants you to begin “casting all your anxiety on Him, because He cares for you” (1 Pet. 5:7). You can turn all the knobs you want, but that gauge will still read minus 40. Let Jesus fix it today. 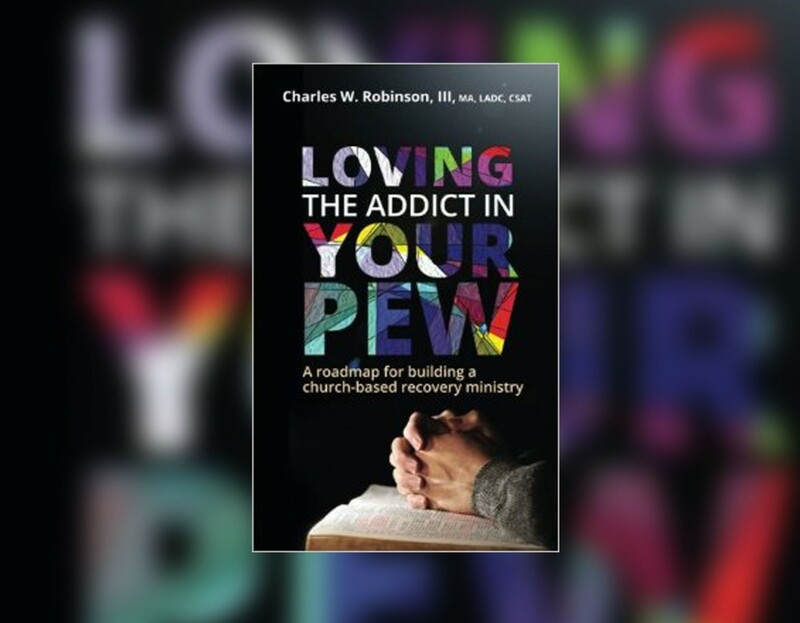 Author and expert Charles W. Robinson III talks about addictions and how churches can build a recovery ministry.